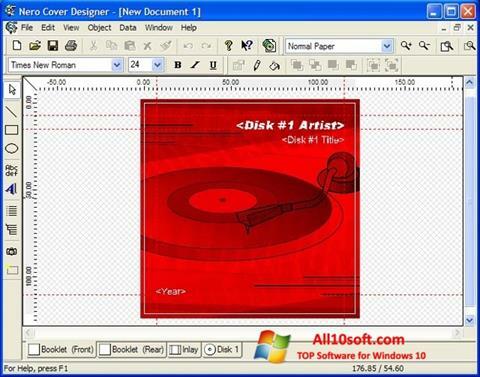 Nero Cover Designer for Windows 10 - a utility for creating CD covers. Supports the function of preparing labels using photos and images. Results can be printed on the printer. The program supports the function of design of booklets, business cards and flyers. In the presence of several built-in templates, the ability to apply images directly to the surface of the carrier. Recommended for use in printing houses, uses LabelFlash technology. When creating covers, the box sizes are taken into account. You can free download Nero Cover Designer official latest version for Windows 10 in English.